Consumers Forum has been in operation for the last 32 years reaching out even to the remotest part of the country, now with a member’s bank of 14,500 and growing on regular basis. You will get an Identity card, Authority Letter, Sticker for vehicles etc. 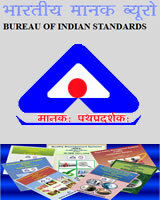 which can be used in various places to draw its benefits against malpractices and harassment in all over India. If our member face any problem as a customer or consumer, he/she can contact us either by mail or by post, as per their convenience, with the supporting documents if any, to enable us to talk to them / send them mail / notice on your behalf. If the complainant does not get any satisfactory reply from the accused, then We have our Legal Advisers to Guide / Advise / or Suggest to members about legal procedures to move to consumer court which is spread in every district all over India. 1. 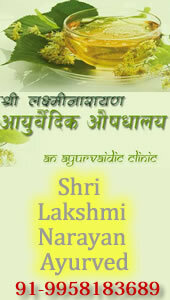 These facilities are not extended to any third person other than our member. 2 . 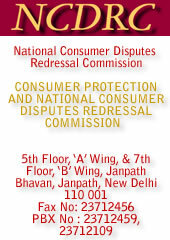 All Members staying outside Delhi, can avail the facility of guest house of Consumers Forum, along with their families for 2 days and 2 nights, at a very nominal charge. 15 DAYS prior intimation would be appreciated. Against unfair service of Doctors , Hospitals & Medical treatments : Doctors Carelessly treating the patients. They are well organized & busy with making money. Encouraging the patients to do unwanted and unscientific pathology as well as radio-logical tests.. Consumer Empowerment discussions on Prohibited , Expiry and unwanted steroid medicine sales which not only exploiting but also looting the public lives ..
Against unfair service of Telecom services: Net work conjunction, hidden charges Roaming charges for SMS , Plan activation charges ,call dropping , coverage failure etc. sting and cable service.Excess advertisements in pAgainst unfair service of Broadcaay channels . Pay channels should not put commercial advertisements ..
Against unfair service of Educational institutional service. Against unfair service of Indian Railways : Majority of the trains are delayed running. Day time sleeper class passengers are not given seat. Thaktal ticket also not assured. Against inefficient service of Legal Metrology. ; Auto meters Calibration is one of the most important function of the department. But they are not able to meet the demand .. Hence Consumers are suffering always throughout the state. Against unfair trade of Domestic Appliances . MRP Exploitations, useless warrantee , Sales after service are very poor. Guarantee is required not warrantee. Against unfair trade & sales of Food & Beverages : Pesticide contamination above the permitted level in all soft drinks .. Coco-cola ,Pepsi and other Multi national soft drinks are to be prohibited . Govt. should fix the permitted level of Pesticide contamination. Against unfair service of Water supply : Polluted water , Meter frequent repair. Without regular reading charging excess bill ..
Against unfair service of Electricity : Interrupted power supply , Voltage variations, Meter rent, Billing mistakes . Without regular reading charging excess bill ..
NOTE- Please read the features of membership. All donations and membership fees are non-refundable. Please bring or send us 2 Stamp size photographs for Identity Card. You may even “Courier” your Application - Form duly filled and signed, along with 2 Stamp size photographs and Your Identity Card will be “Couriered” to your address by us with in 7 working days from the date; we receive a bank Draft/Cheque in favour of “Consumers Forum” payable at New Delhi for the desired membership. *For Primary Membership renewal charges is Rs.1000/- Per Year.